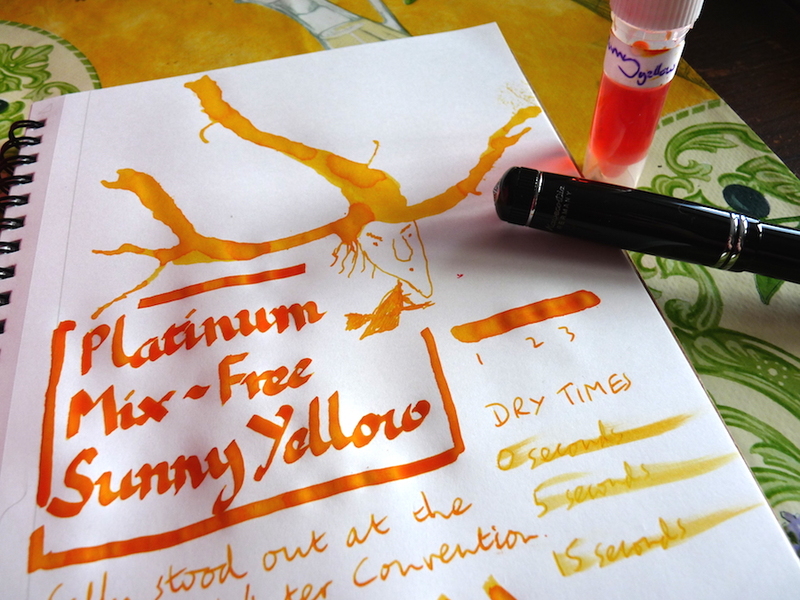 Platinum Mix-Free Sunny Yellow ink review – Pens! Paper! Pencils! Could this be another ink sample from Azizah? Why yes! 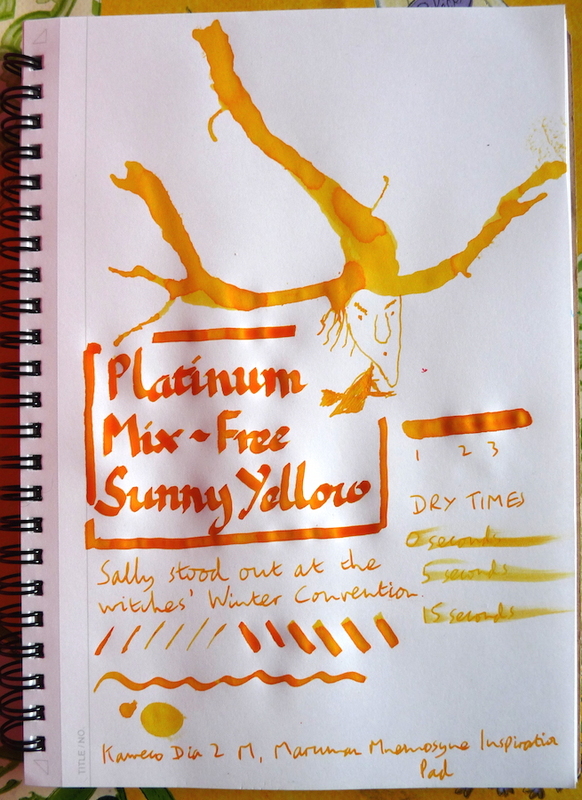 What a lovely bright and, dare I say it, sunny colour to bring cheer to a winter’s day! Thanks Azizah!